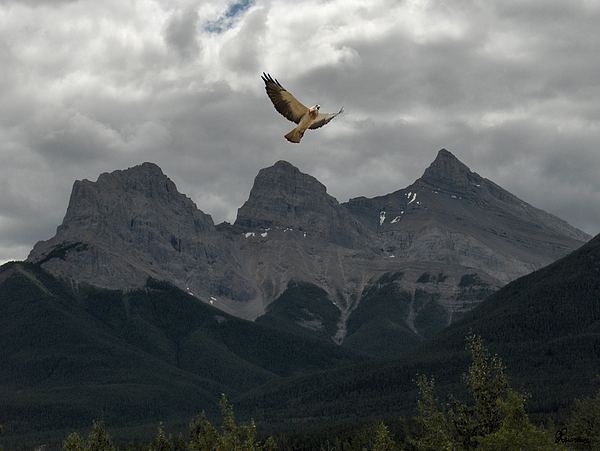 Just a LOVELY shot here Andrea ! 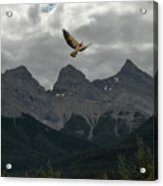 I like how the birds wings mimic the mountain peaks as well as the foothills below. Great shot. 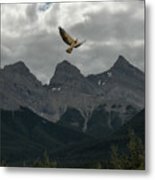 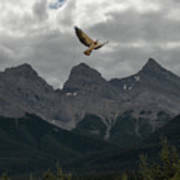 The mountains are the Three Sisters near Banff Alberta, the hawk, however is from Saskatchewan.